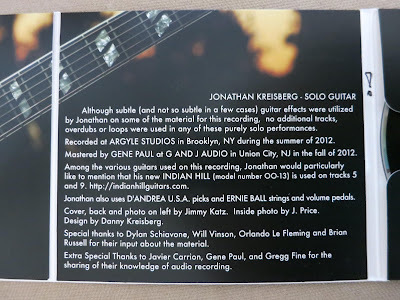 I'm incredibly excited to announce Jonathan Kreisberg as a new member of the Indian Hill Guitar Company family! Jonathan is an absolutely stellar guitar player from New York City that plays worldwide with his quartet and as a member of Dr. Lonnie Smith's band. Jonathan contacted me last summer after trying one of my OO's at Rudy's Music in Manhattan and told me he had to have that guitar. Within a few months he recorded a brand new solo guitar album, "One", and used my guitar on two of the tracks! Find out more about Jonathan at jonathankreisberg.com!